Truro Massachusetts: The Best Cape Cod Vacation Town? There's a subtle sophistication to the town of Truro Massachusetts. 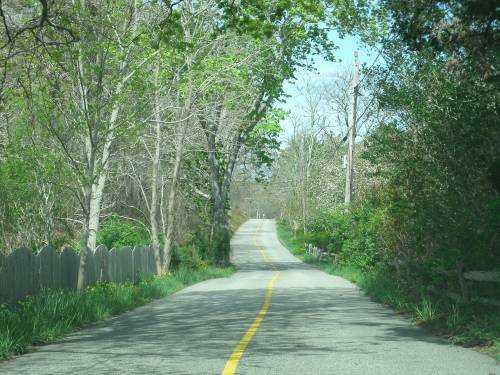 Traveling along this Cape Cod town's winding, tree-shaded roads, you might imagine you're in the heart of New England countryside. That's when you know, for sure, you're in a one-of-a-kind seaside town! Where is Truro MA on the Cape Cod Map? One of the farthest-out towns on the Cape Cod peninsula, Truro is bordered by Provincetown to the north and by Wellfleet to the south. Truro's easterly shoreline is on the Atlantic Ocean, and Cape Cod Bay stretches along the town's western coast. Once you're over the Canal and onto the Cape, it's another 55 miles to Truro. Travel Tip: If you're coming from Boston and you prefer not to drive, there's also the option of taking the ferry (seasonal) or flying (year round) from Boston to Provincetown. If you want wheels while you're here, you can pick up a rental car when you get to P'town. Bus service? Yes, you can travel to Truro by bus. Depending on where you're coming from, you'll probably have to change buses at least once and endure a few stops along the way. It's do-able, but it's not the best option, IMHO. 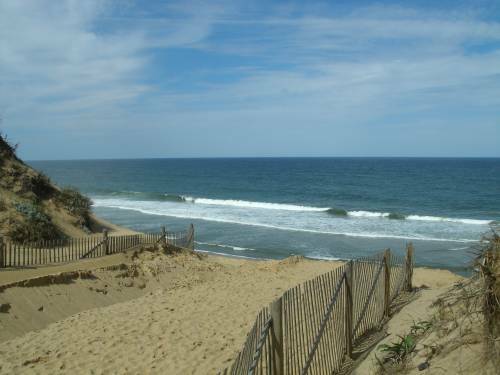 Is Truro MA The Best Cape Cod Town for You? Some might say Truro is too quiet, too remote, too adult-oriented for an active family vacation. I say that's nonsense! If your kids are the outdoorsy type and they don't require endless hours of bumper cars, mini-golf, and ice cream stands on every street corner - they'll be happy as little clams in Truro. This is a town where families have good old-fashioned summer vacations. 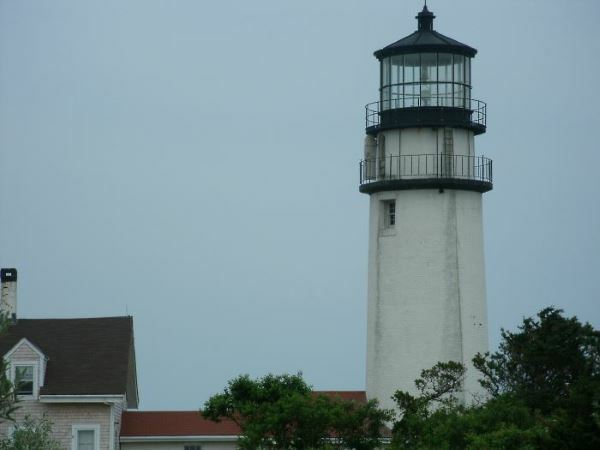 Days are spent at the beaches, hiking, bicycling, climbing to the top of Cape Cod Lighthouse (a/k/a "Highland Light"), and joining ranger-guided activities at the National Seashore. 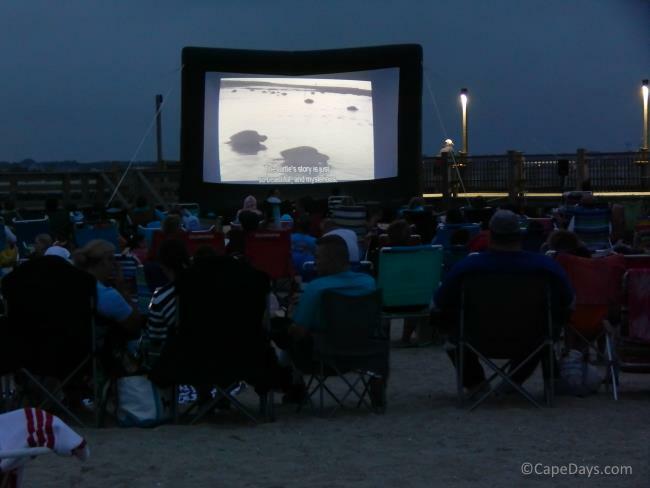 Evenings can easily be filled with campfires on the beach, dinners on the barbecue, chasing fireflies, watching for shooting stars ... and the must-do outing to the drive-in movie in Wellfleet. When the inevitable urge comes for more excitement, the crazy-busy town of Provincetown is only a few minutes up the road. That's the place for whale watching, dune tours, harbor cruises, museums, shopping, and tons of great food. To all the things I've mentioned above for kids (we adults need some kid-like fun, too! 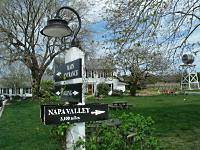 ), add a vineyard tour and wine tasting, galleries, sunsets on the Bay, and excellent restaurants. Top it all off with Cape-y seaside accommodations, and you have all the makings of a wonderful vacation. Anyone who says that Truro is too remote or too quiet ... well, my guess is they really don't know Truro. Atlantic Spice Company - (2 Shore Rd.) 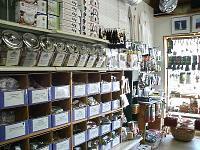 Atlantic Spice is a mecca for herbs, spices, loose teas, and great gifts for your foodie friends. My favorite thing about this shop? The heady scent that greets you, even before you walk though the front door! 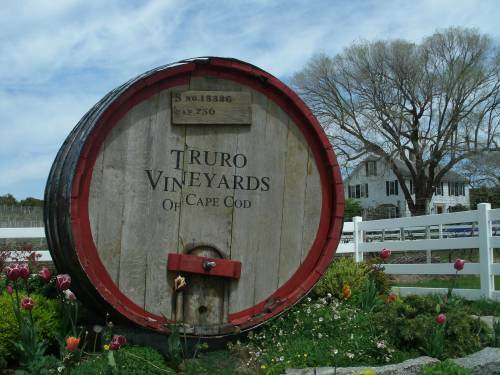 Truro Vineyards - (11 Shore Road) Whether you're a wine aficionado, or you just enjoy the occasional sip, put a visit to Truro Vineyards on your "must-do" list! 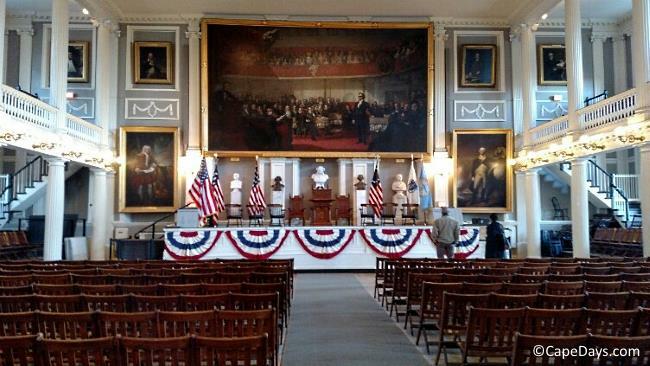 Tours (free) and tastings ($10 per person) are offered from Memorial Day to Columbus Day. Fun Fact: In June 1996, this lighthouse was moved 600 feet back from the edge of an eroding cliff. How was such a huge structure moved? On skids greased with Ivory Soap. 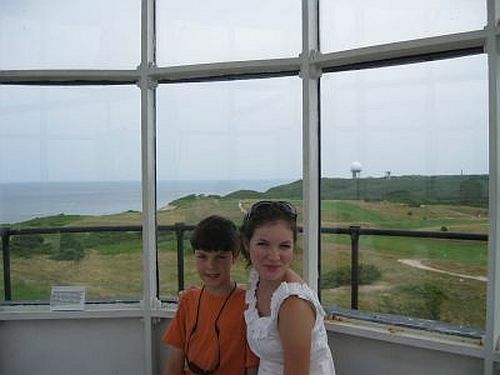 The lighthouse is open to the public in season. Highland House Museum - (27 Highland Light Road) In the early 20th century, ladies and gents came from the big cities to vacation at the exclusive Highland House resort. 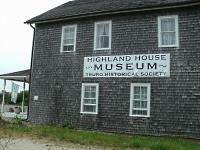 Today, Highland House is a small museum filled with historical artifacts of the times. Surf Fishing - Fishing fanatics, take note! 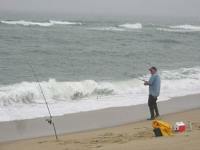 Truro's coastal waters are a prime spot for surf fishing. Wet your line for striped bass and bluefish from spring to fall. Some big 'uns cruise these waters! Truro Center for the Arts - (10 Meetinghouse Rd.) A hub of creativity in the community, the Center offers workshops, lectures, exhibitions, and activities for every age group from kids to teens to adults. 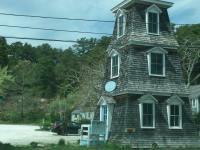 When you're looking for accommodations, there's a peculiarity about Truro MA that you should keep in mind. The town is made up of two villages: Truro and North Truro. 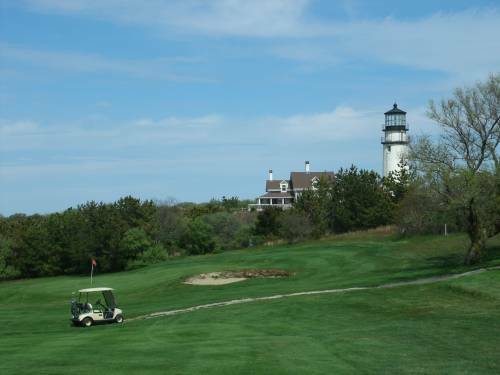 The village of North Truro (the part of town nearest Provincetown) is where you'll find a wide range of lodgings - hotels, motels, timeshares, cottages, and vacation condos - many overlooking Cape Cod Bay. The village of Truro has fewer "commercial" lodgings, but it does have a good selection of rental homes. It attracts guests of all ages (not just college kids), from all over the world. Enjoy your visit to Truro, Massachusetts!